$15 million grant will support multi-institution quantum research collaboration. From codebreaking to aircraft design, complex problems in a wide range of fields exist that even today’s best computers cannot solve. Today’s quantum computers are mostly proofs of concept, demonstrating the feasibility of certain principles. While they have grown in complexity as researchers’ ability to control and construct quantum systems has improved, they have not yet solved a computational problem for which the answer was unknown. The project’s integrated approach to developing a practical quantum computer relies on finding new algorithms based on optimization and scientific computing problems, improving quantum computer hardware, and developing software tools that optimize algorithm performance for the specific machine in development. As a cross-disciplinary project, STAQ encourages convergence across research fields and aligns with The Quantum Leap: Leading the Next Quantum Revolution, one of NSF’s 10 Big Ideas for Future NSF Investments. It is funded through NSF’s Mathematical and Physical Sciences, Engineering, and Computer and Information Science and Engineering directorates. 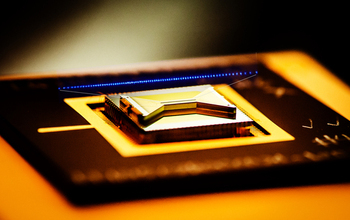 One of NSF’s 10 Big Ideas, The Quantum Leap initiative aims to accelerate innovative research and provide a path forward for science and engineering to help solve one of the most critical, competitive and challenging issues of our time. Researchers will design, construct and analyze new approaches to quantum computing and test algorithms at a scale beyond the reach of simulations run on classical computers. Quantum research is essential for preparing future scientists and engineers to implement the discoveries of the next quantum revolution into technologies that will benefit the nation.